CN#13432 was built as a Bristol Britannia 175-318 in 1959 and delivered to Cubana De Aviacion as CU-P668 and re-registered to CU-T668. Aircraft was dry leased to CSA Ceskoslovenske Aerolinie from January 1961 to January 1964. Aircraft was finally WFU and broken up in Habana in 1997. Repaint based on original by Jens K Kristensen. This is the delivery scheme in 1959 with the window layout as shown in the real photo, new alpha channel and more detail. 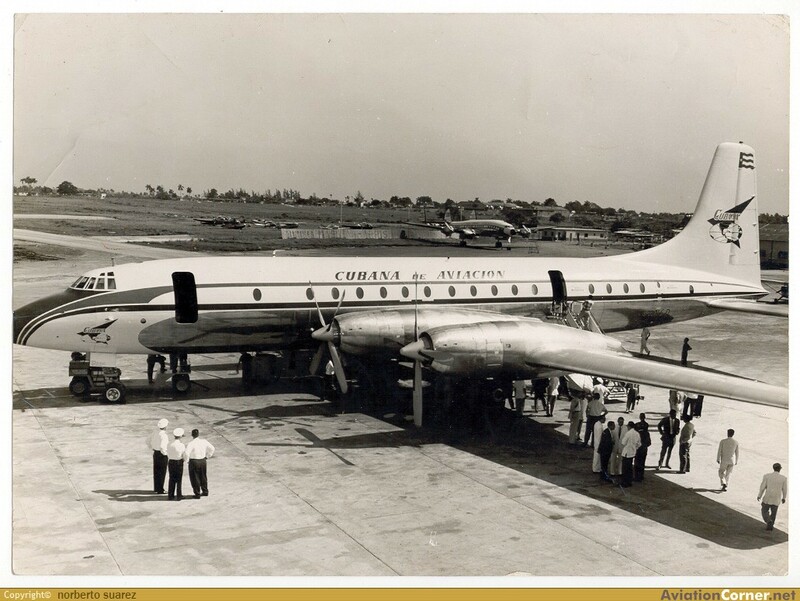 CN#13433 was built in 1960 as a Bristol Britannia 175-318 for Cubana De Aviacion and named "Libertad" with Empresa Consolidada titles for the Cuban Revolution when the "Tyrant" took control of Cuba. Aircraft was transfered to Aero Caribbean and WFU and broken up in Habana in 1987. Repaint based on original by Jens K Kristensen, new alpha channels and added detail.